Make this homemade tortellini and mushroom soup for a comforting meal the whole family will love! 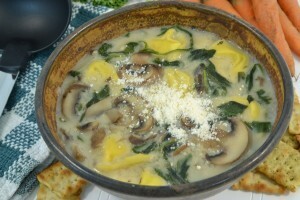 Featuring tortellini, fresh vegetables, and Parmesan cheese, this soup is easy to make and certain to be a hit at the dinner table. First, chop onion and garlic cloves. 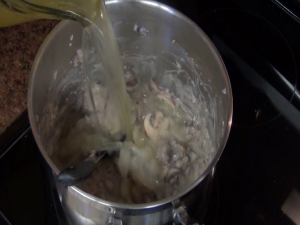 Cook onion and garlic in a pan with either extra virgin olive oil or butter. 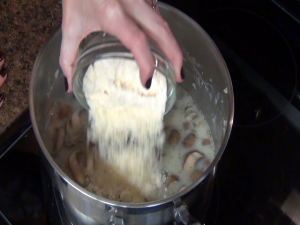 Chop mushrooms and add to pot once onion and garlic have become translucent. Cook over medium-high heat. Add seasoning and thyme. Add mixture consisting of 1 cup milk and 1/4 cup flour. Stir and allow time to cook. 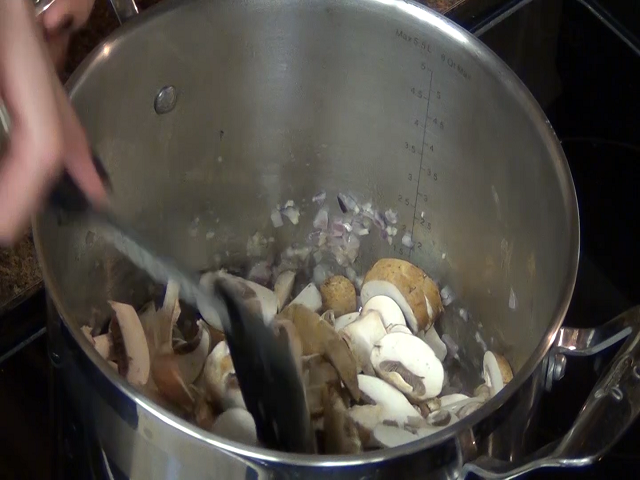 Add broth, white wine, and black pepper. 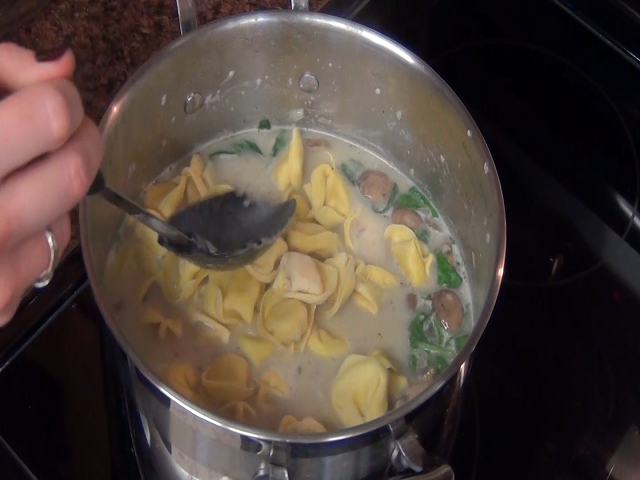 Add cheese tortellini and stir. Allow time to cook. 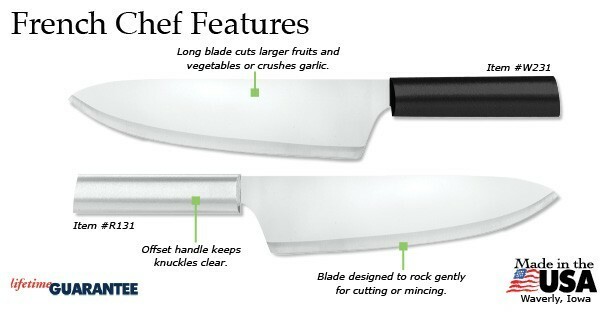 The Perfect Knife for a Chef! 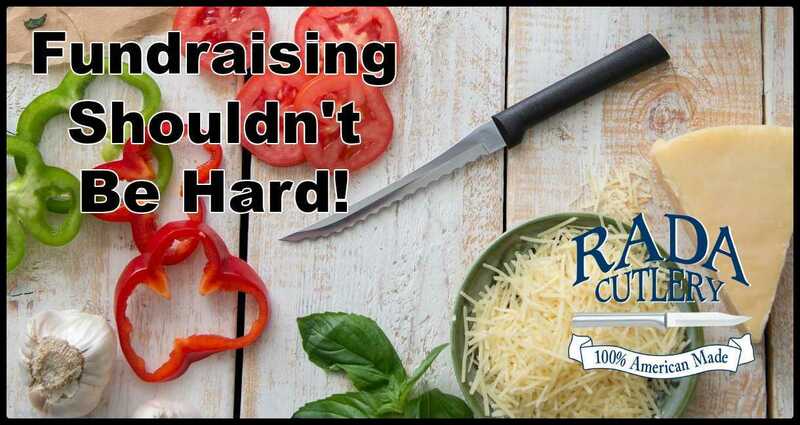 The Rada French Chef Knife is a cook’s best friend! 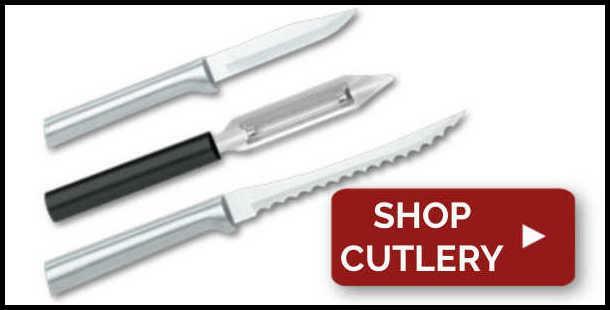 This stainless steel knife features a lengthy blade that easily cuts whatever food you put in its path, making it perfect for countless dishes. Use this once and you’ll find yourself reaching for it again and again! 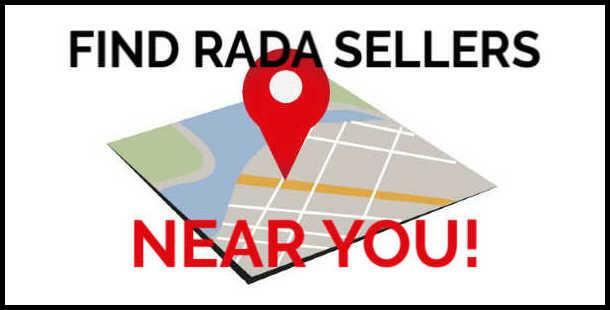 Like all Rada products, it’s made in the USA and comes with a Lifetime Guarantee! 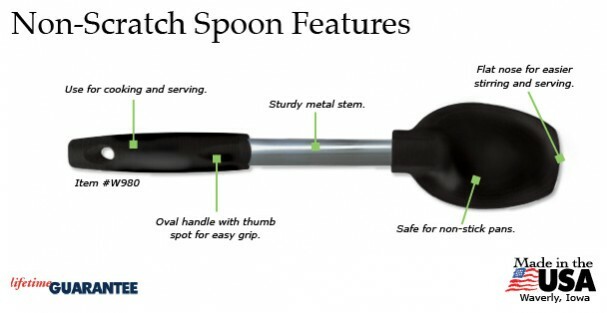 The Rada Non-Scratch Spoon is a utensil you can use with countless recipes! Made from a non-scratch, heat-resistant material, you can use it safely without threat of damage to your cookware. 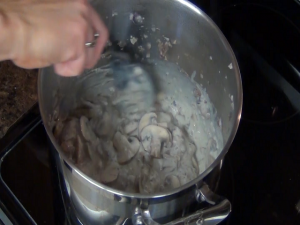 Use it to prepare and serve soups, meats, glazes, casseroles, desserts, and much more. 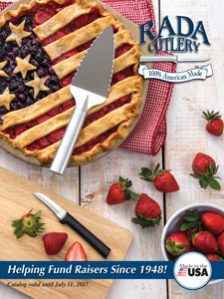 It’s made in the USA, and comes with a Lifetime Guarantee! 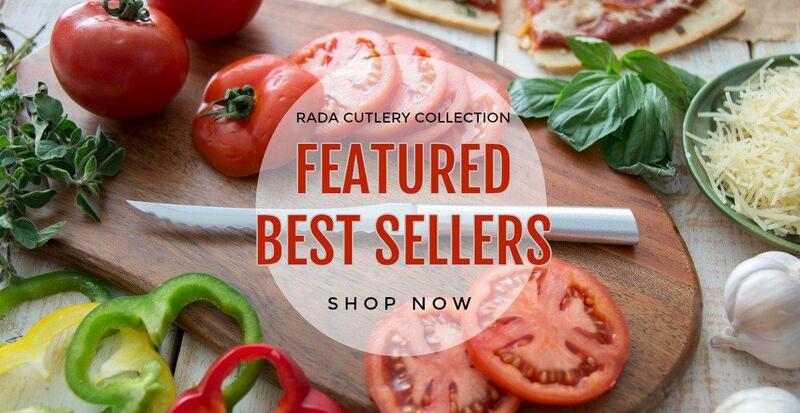 The online Rada Kitchen Store has the Non-Scratch Spoon ready for purchase! 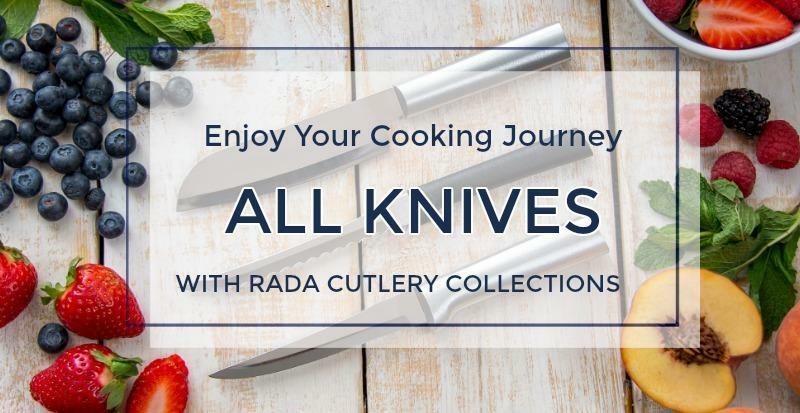 Rada Cutlery is an American company that produces American products. 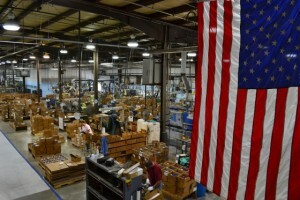 Everything you buy from Rada is 100% made in the USA, meaning that your purchases support American workers. All of our cutlery comes with a Lifetime Guarantee, meaning you can buy with confidence! Watch this video to see how the care and skill of our workers makes our products so incredible! 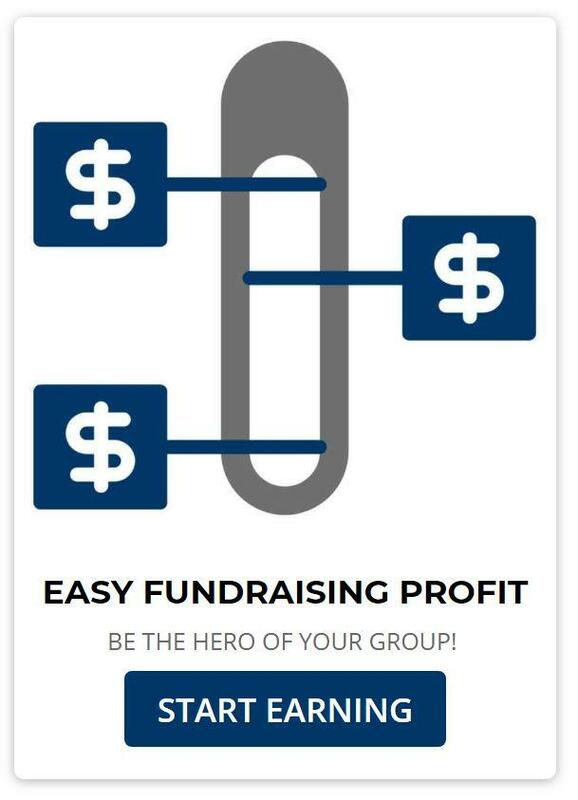 What is the Best Fundraiser? 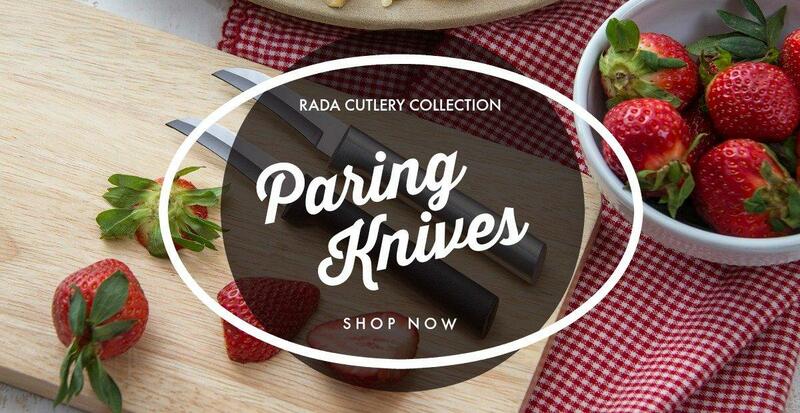 Rada Cutlery! Hi there, Jess in the Rada Kitchen, thanks for joining me. 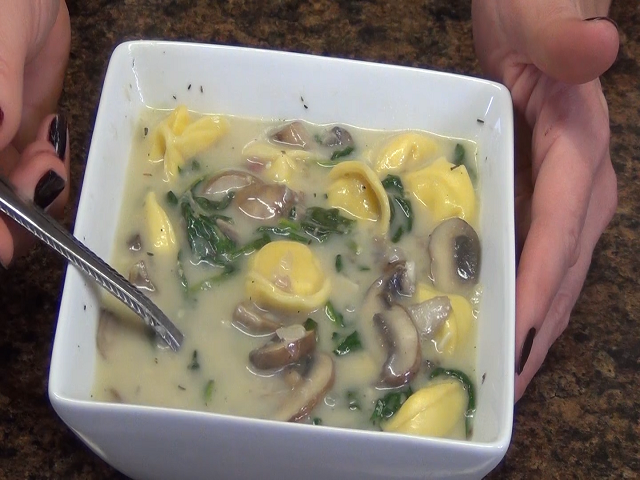 Today we are going to make a creamy mushroom and tortellini soup. It’s comforting, delicious, and ready in no time. We’re going to start by prepping our vegetables. First we’ll chop 4 garlic cloves. 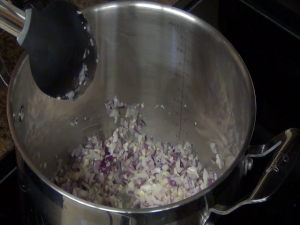 Then we’ll chop an onion to make the flavor base of our soup. 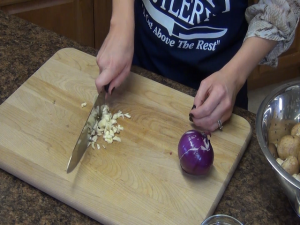 For our chopped onion you can use white or red. I’m going to use a sweet red onion. I’m going to put it blossom side up. We’ll go back down the top and we’re going to use the whole onion for this. We are going to start sweating our onion and garlic. You can add this to 2 tablespoons of extra virgin olive oil or butter. Then while we’re letting that cook we’ll slice some portabella mushrooms. I like the rich flavor. Our garlic and onion has become translucent. To this we’re going to add those chopped mushrooms and cook them over medium-high heat. Then we’re going to add in some seasoning and thyme. I’m going to whisk in a cup of milk with about ¼ cup flour. This is going to be our thickening agent. 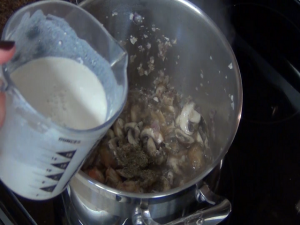 Then we’ll cook off the flour flavor for a few minutes before we add the rest of our wet ingredients. Now I’m going to add in 6 cups of veggie broth. Give it a stir. Then we’ll add white wine and black pepper and about half a cup of Parmesan cheese. Then stir it again. We are now ready for 8 to 10 ounces of fresh spinach. Put it in and give it a stir. 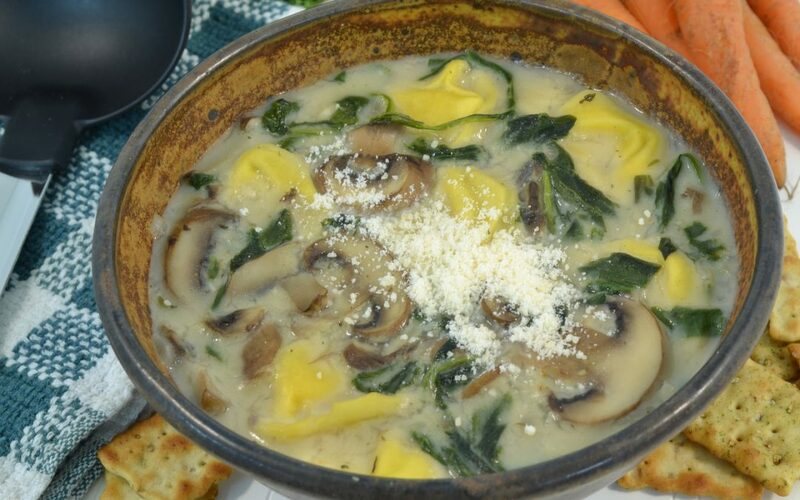 And now for our cheese tortellini. We’ll let that cook and then it’s ready to serve. So here we have our soup hot off the stove. This would pair perfectly with some crusty bread. Thanks so much for joining me today! 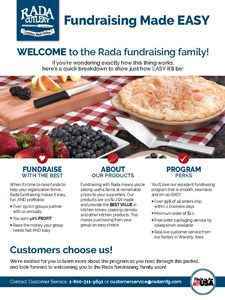 Be sure to subscribe to our YouTube channel, and visit our website at RadaCutlery.com.